Better policy-making: how do EEA countries evaluate their environment and climate policies? 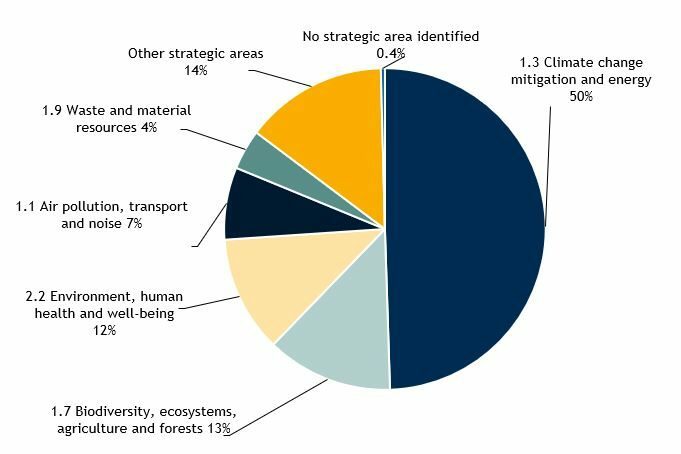 The European Union and its Member states have a wide variety of environmental policies in place and the effectiveness of these policies is evaluated regularly. However, a comprehensive overview of the outcomes of such evaluations to obtain insight into which environmental policies work best in specific contexts was lacking. This project’s objective was to develop a catalogue of policy evaluations in the areas of environment and climate policy and to conduct a meta-analysis of the collected policy evaluations. The catalogue consists of an Excel database resulting from the thorough review of 495 policy evaluations. The catalogue documents the policy areas and economic sectors covered by the evaluations, as well as the methods and criteria used to evaluate each respective policy. The meta-analysis aimed to analyse the documented information and to reflect on these quantitative findings by providing an explanation of the trends and gaps found in the evaluation literature. The final component of this project was a maintenance catalogue explaining the procedures behind the catalogue, how to continue developing it, where to find further policy evaluations and how often to update it. The catalogue has not yet been publicly released by the EEA, but it was designed with the purpose of assisting policymakers in EEA countries (to find examples of policy evaluations in their respective policy areas and to offer an overview of the methods and techniques that are used when evaluating policies). Equally, the catalogue could prove to be useful for anyone interested in reflecting on the results and impacts of various policy or regulatory measures. The project was conducted by Trinomics, with quality assurance provided by ISINNOVA. The project ran from July 2018 to December 2018. Distribution of topics covered by the policy evaluations included in the meta-analysis and evaluation database. Ex-post evaluations were unexpectedly found to be more common than ex-ante evaluations, but this could be due to sampling bias.